China is known to be one of the most polluted countries in the world. There are some reports that even canned fresh airs are being sold in big polluted cities such as Beijing. The Chinese government finally took the step in fighting the worsening air pollution by building green cities or cities that run on renewable energy covered by lush vegetation. The first city is recently on the works is located in Guangxi Province, China. The Chinese government hired an urban development team from EU led by Stefano Boeri Architetti. Stefano also designed the city itself. It is interesting to note that the design is very similar to Jack Fresco's green city design. The green city will be entirely powered by renewable energy such as wind and solar energy. 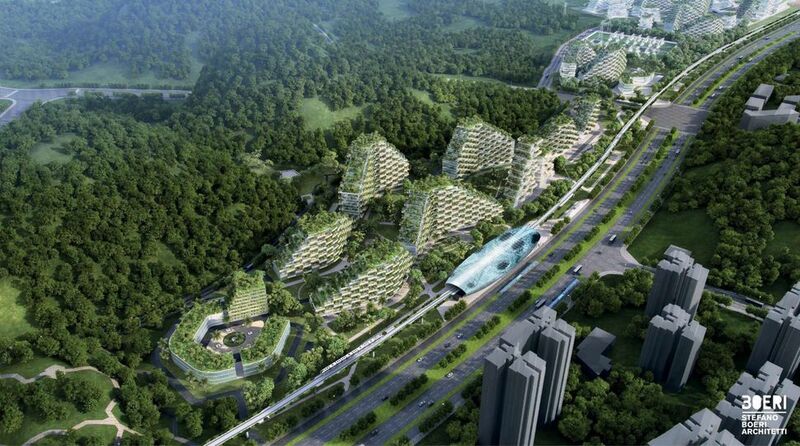 The proposed Forest City have state of the art pollution reduction design that is similar to Singapore. It is expected that the city will impose draconian laws when it is finally habitable in order to maintain the lush environment. The city is projected to be a sanctuary for millions of plants and at least 50,000 trees. According to recent estimates, the Forest City is expected to be fully operational by 2020. The city of the future indeed.